Mo Radke is the Chairman of the Kaneohe Neighborhood Board. 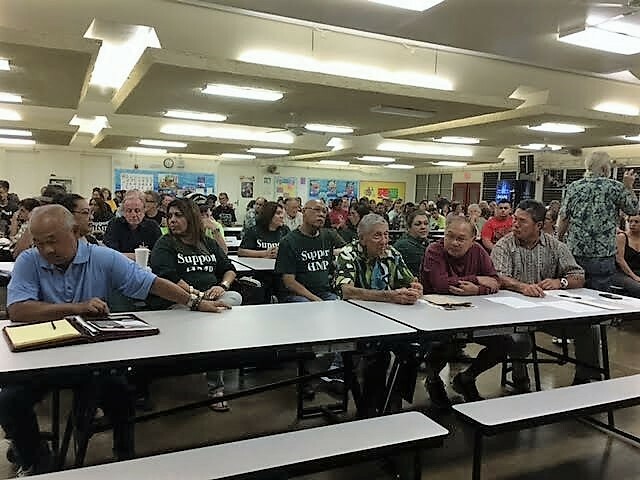 At the May 2017 meeting of the Kaneohe Neighborhood Board, I was honored to preside over a meeting attended by over 200 community members who shared their concerns and support for some important community topics. Serenity Gardens Cemetery Proposal was presented to the community planned for a plot of land in Puohala Village. A question and answer period followed and was met with over 70 online petition responses and 6 personal phone calls to board members and a number of residents in attendance opposing the development. The board voted to send their opposition to the plan to the appropriate city departments. Hawaiian Memorial Park (HMP) presented an “idea” a few months ago during a community meeting at the Pali golf course. At last night’s meeting HMP presented a completely new plan incorporating the concerns of the community from the golf course meeting. While the plan is still in a draft stage, the board did not introduce any motions for action and will continue to ask HMP to provide more permanent plans as they are developed. 2. The Koolaupoko Civic Club submitted a letter of support for the HMP plan and testified in support. 3. People generally were pleased with the HMP historic preservation aspects of the heiau and other culturally sensitive sites. 4. Opponents cite the water runoff problems as critical – the board would like to hear from engineers regarding this concern before making a decision to support the expansion plan. 5. The previous expansion plan no longer exists – this is an entirely new plan representing the community concerns of the residents and a more controlled expansion for HMP. 6. Perpetuity clauses are inserted to ensure the expansion sites remain cared for even when the cemetery “sells out”. Haiku Stairs: With 10 minutes left in the meeting and still a Haiku Stairs decision-making section remaining – along with about 50 residents, the board agreed to extend the meeting and allow introduction of the resolution and discussion. Voting on the resolution would be deferred to the June meeting. The discussion lasted until 10 pm. I want to thank the board and the community for representing their views with balance and respect and trying to keep emotional pleas and outbursts to a minimum. G70, a planning group, is contracted by the Board of Water Supply to complete an Environmental Impact Statement with the option of removing the stairs, turning over the stairs to another entity, allowing a managed access plan or doing nothing. Public input is due by May 23. Presently, the EIS process is in the preliminary stage, input from the stakeholders will help to inform the DRAFT EIS which should follow soon after. For and against issues have not changed; Opponents continue to have their property rights trampled by trespassers, literally, by those who follow online trespassing instructions and continue to park-and-walk in the neighborhood during many different times at night to try and avoid an ineffectual security guard situation which does not deter trespassing onto both private and BWS property. Proponents continue to tout the majesty of the stairs as a local, national and spiritual treasure, the connection to the WWII and significance as a critical communications site, the opportunity explore, study and educate and potential partnerships that remove and prohibit access from within the Haiku neighborhood and moves it to another access point. Chair’s Editorial Comments: Passion for a topic usually evokes passion of voice. Passion in voice usually places positions of opposing views apart from each other. So how do opposing sides meet somewhere where the process can move forward? Presently, the community residents will not budge on their position to have anything other than total removal of the stairs as that action, they believe, will totally remove the trespassers because there are no more stairs to climb. Groups wanting to reopen the stairs claim that a controlled and managed access plan will force hikers to properly register and report to a “base station” before hiking the stairs. This entity would be accountable for their business operations to collect a fee to support the maintenance, hire staff to monitor activity on the stairs and protect its investment by seeking to eliminate trespassers to the stairs. Landowners like Department of Hawaiian Homelands, BWS and Kamehameha Schools are not interested in allowing access – and why should they? What is the benefit to those organizations allowing access across a portion of their property without a proven plan to remove their liability or conduct an action not related to their kuleana. Since these are editorial comments, an OPINION, I offer the following: I believe a managed access plan should be tried on a small scale to see if the Haiku neighborhood at the stairs can be relieved of trespassers. 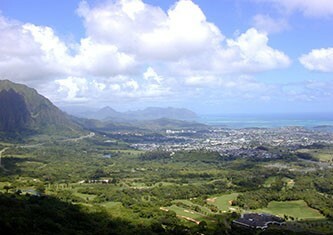 An entity such as Friends of Haiku stairs should either supervise the access plan or implement the plan themselves and purchase insurance to indemnify the landowners during the test period. I also think it would be an awesome gesture on behalf of the proponents of reopening to assist the residents with the neighborhood watch program in the wee hours of the morning to help get the word out to the online hiking blogs that “how-to” to get onto the stairs no longer works. Partnerships and collaboration between the parties may build the needed trust and momentum that’s needed. Something of substance is needed now!